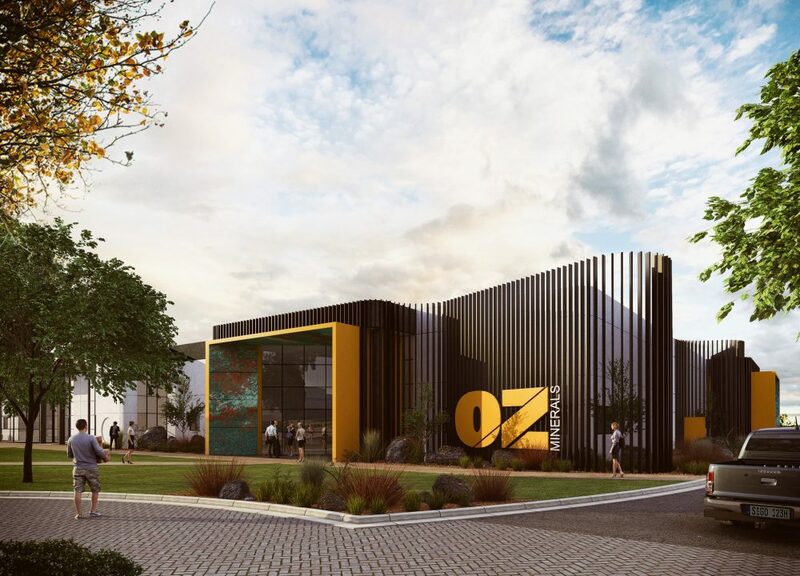 Relocating to the Adelaide Airport Business District, Oz Minerals’ new office will reflect the next phase of their growth, providing a contemporary working environment for up to 80 staff. The transformation of the existing warehouse will retain its industrial aesthetic as a key element of the brief. Polished concrete floors and exposed steel trusses will be complemented by the insertion of expansive skylights to create a light, airy and contemporary feel. Oz Minerals’ progressive shift towards Activity Based Working requires a workplace that fosters a flexible and collaborative working environment. The office space will be entirely open plan and will incorporate a central spine to create a defined zone for collaborative working. Externally the building facades will be upgraded through the introduction of sinuous feature screens, entry portals and building signage. The new headquarters will be the catalyst for drawing other high-calibre businesses to the area, with the vision of turning the district into a top tier business centre in the Asia Pacific. Works are set to be completed in mid 2018.